Writers Horoscope September 5: Get a leg up on your competition. Ask editors lots of questions. Read–with a reader’s eye and an editor’s eye–what the competition is writing. Hunker down with some ‘Best of…’ article collections. Make bulletin board material out of the ‘best of the best’. And, don’t forget the one writer you should always be competing with: the previous version of you. Writers Horoscope September 4: Today, your persistence is mightily challenged. Experiment with different working audio. You might also consider background noise [not counting the barking dog next door]. Writers Horoscope September 2: Today–rewire your brain. A little change in circuitry might just do the trick. Find many more positive thoughts here, thanks to Barrie Davenport. It also seems fitting here to acknowledge the passing of Louise Hay earlier this week. Writers Horoscope September 1: Remind yourself that criticism is subjective. Remember the message of August 29: Don’t linger too long on writing’s low points. Besides, if you’d followed the sage advice from August 05, you’d have already steeled yourself against apathetic responses to your work. 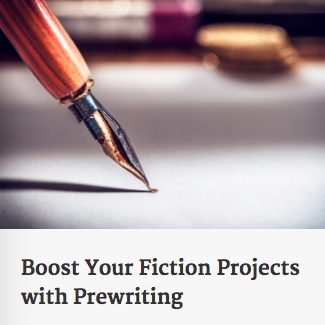 A self-publishing primer from @JaneFriedman is among this week’s Finds for Writers: wp.me/p4x0h8-bKZ.